Every pair of Decibullz is different. These moldable earphones can be customized to fit any ear just right. Dip the thermo-plastic earpiece in hot water, then mold them to comfortably match your ears. Re-do, if necessary. You’ll have an earphone that fits and that won’t fall when you run, jog, bounce, or even cartwheel. 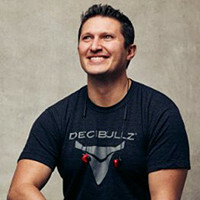 In fact, Maker and gymnastics coach Kyle Kirkpatrick wanted all-terrain earphones that’d stay put even while jumping off a trampoline. Kyle went on to invent the first pair of custom fit earphones. He has expanded beyond regular earphones to Bluetooth ones, and noise-blocking earplugs—all of which secure to your ear and isolate sounds. Each pair of Decibullz is tailored just for you. Hello everyone! I'm proud to introduce Decibullz products to The Grommet. I'd be happy to answer any questions you have! 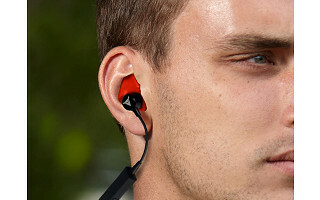 Are you able to answer phone calls with these earbuds? You are correct in assuming that, Cyndy, but no, you cannot return them, unfortunately. I am a bit klutzy and so when I wear headphones that have cords, I tend to get them caught on things. Do these have clips or anything that I can kind of attach them to my shirt? Are there going to be Bluetooth ones available anytime soon? I know that problem well, Courtney. Luckily, a Bluetooth version is available this very second. Can I use these on my earbuds I use when I swim? Can they be used with any earbuds? Hi Nancy, Decibullz are water resistant but not waterproof so not able to be used for swimming. 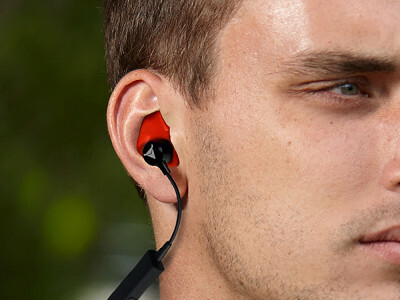 They can't be used with every pair of headphones but could with a earpiece that is pointing forward. Think the opposite of iPhone headphones which are at a slight angle. Can I use this with my cell phone? 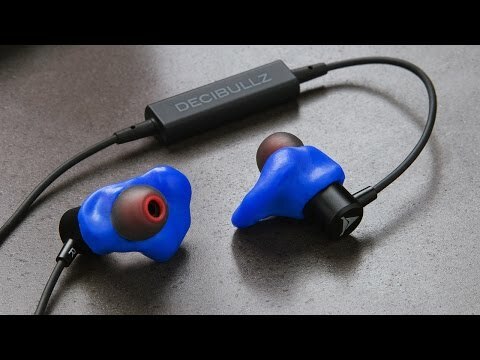 Are these earbuds good for musicians ? Hi Roberto, because of the noise-blocking, yes, they should work quite well for musicians. how long does the charge last on the bluetooth option? About 4.5- 5 hours, Roseann. Ben, I remember this concept from school sports with my mouthpiece. how do I form the shape in my ear without it looking like a wad of chewing gum? (another words, matching neatly on both ears. thank you. My thoughts exactly, Christopher. They should come out as mirror images of each other because you determine the feel. The look may take a little bit of trial and error. Hi Karen, yes, the microphone operates like any pair of headphones you may have used in the past. How can you use the earplug for travel when you can't boil water in places you stay? I so want an earplug that could stay in my ear for sleep. Hi Sheryl, you can mold it before you leave so it is ready for your travels. Hi. No question. Just wanted to say how impressed I am with your website & that all the products are U.S.A.!!! Look forward to buying products for myself , friends & family! Thanks so much, Carolyn. We're not entirely Made in the U.S.A, but as you probably saw we have a good number of them. I'd like to know if these will work with very nice Shure earbuds? They just are not comfortable, and I have trouble with them coming out of my ears. Thank you, Janet. Hi Janet, it will depend on the shape. If the earbud is straightforward, instead of at an angle like iPhone earbuds, you should be able to fit it. Can these be cleaned? If so, how. Your best bet is to simply rinse them off, Jim. Every pair of Decibullz is different. These moldable earphones can be customized to fit any ear just right. Dip the thermo-plastic earpiece in hot water, then mold them to comfortably match your ears. Re-do, if necessary. You’ll have an earphone that fits and that won’t fall when you run, jog, bounce, or even cartwheel. In fact, Maker and gymnastics coach Kyle Kirkpatrick wanted all-terrain earphones that’d stay put even while jumping off a trampoline. Kyle went on to invent the first pair of custom fit earphones.